A federal immigration appeals office determined last Thursday that immigrants seeking visas who file false documents relating to fake or nonexistent marriages cannot be denied by that factor alone. This marks a significant policy shift at the Administrative Appeals Office of USCIS (U.S. Citizenship and Immigration Services), that many have called precedential. In particular, it ruled that if an immigrant is able to successfully prove that he or she did not enter or attempt or conspire to enter into a false marriage, the illegitimate documents themselves do not constitute marriage fraud. All foreign nationals seeking to immigrate to the United States based on marriage to a United States Citizen or lawful permanent resident must prove one thing: that they share a bona fide marriage that is based on mutual love and affection and was entered into with the intent of establishing a life together. If USCIS concludes that the parties married solely or primarily to obtain U.S. immigration benefits, it will issue a marriage fraud finding. Sometimes, however, the finding of marriage fraud is incorrect and requires the expertise of an immigration lawyer to assist the couple in proving the bona fides of their marriage. 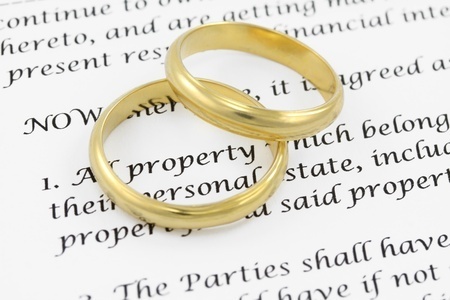 While the Shulman Law Group, LLC only accepts legitimate marriage cases, we understand that there are occasions whereby illegitimate documents have been utilized or submitted. We will work maximally to assist couples in this circumstance to prove the bona fides of their marriage case and to help them to effectively and compellingly explain why the fake documents were utilized. We are also keenly aware that marital relationships can be highly complicated, problematical, and non-traditional. We have particular skill and background in assisting our clients in developing a thorough dossier, replete with probative documentation and detailed affidavits, to help sufficiently establish the bona fides of their marriage regardless of the complexity of their relationship.